A floor-to-ceiling pop art mosaic of red lips sets the stage for this dance studio. Pucker up, baby! 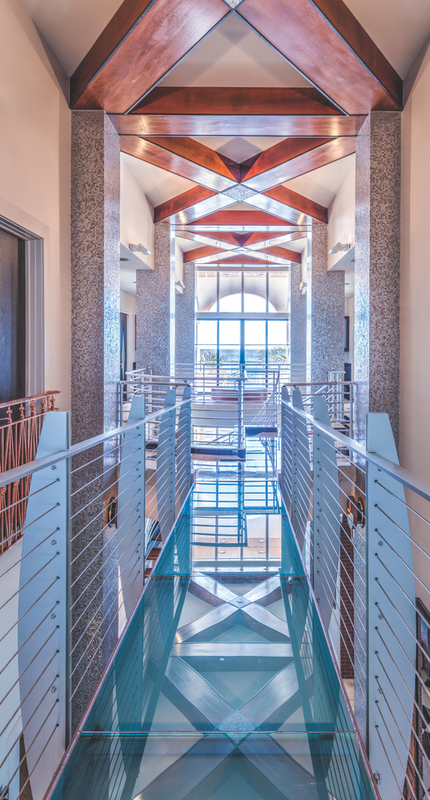 How do you begin to describe a Gulf-front home with a translucent bridge leading to the front door? It’s like Vegas, baby. 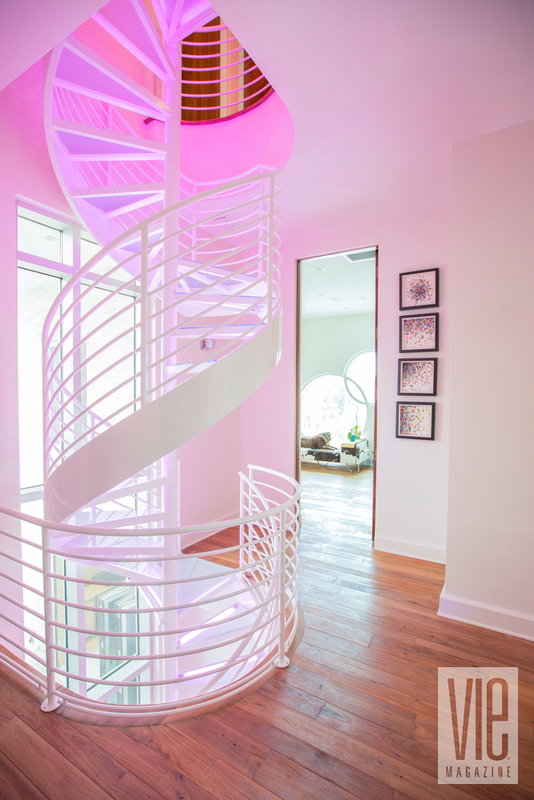 Think Austin Powers and rock ’n’ roll—complete and total luxury and excess. I’ve never seen anything like it. And (maybe) surprisingly, instead of belonging to a party-crazed bachelor, this is a family home. The heated lap pool, which the translucent bridge passes over (so, maybe you shouldn’t visit wearing a skirt! ), the hot tub on the second floor, the full-size basketball court, and the music room with a stage worthy of a professional venue all make this an amazing home. And, did I mention it overlooks a beautiful expanse of white-sand beach? As if the cornucopia of amusements in the home weren’t enough, you can walk down to the beach or relax by a fire pit and watch the sunset from the comfort of a luxuriously padded chair. 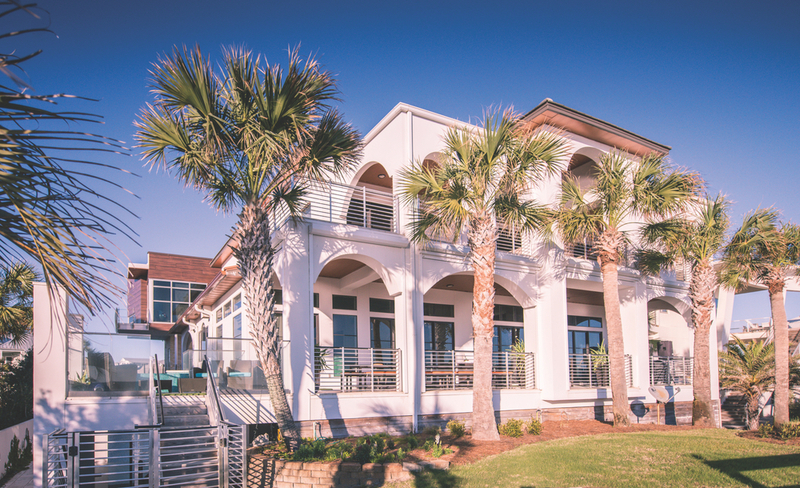 Pam and Bill Burden own this six-bedroom, seven-bath masterpiece in Santa Rosa Beach, Florida. They built the original house in 2005. At the time, the couple had two children and one on the way. By 2008, the kids were a little older, and the family was ready to have some fun with the design of a major addition to the property. 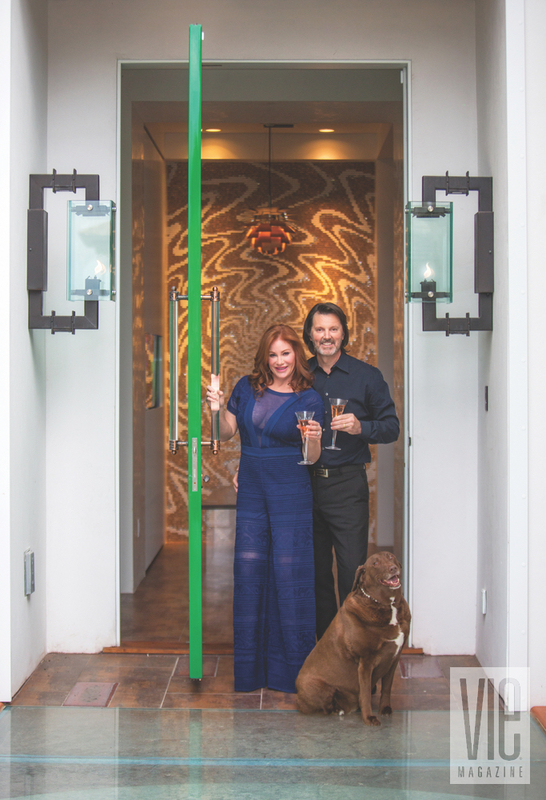 They dubbed their home “Casa Amore” and, working with architect Joe Dougherty, added the heated lap pool, a commercial-grade kitchen, an indoor basketball court, a game room, a media room, and an expanded master bedroom—which has a bathroom that could make one weep from jealousy. The master bath has one of those free-standing, egg-shaped tubs that almost everyone seems to covet (or maybe that’s just me). There’s a shower built for two, but I’m pretty sure at least six could fit in there with room to spin around. 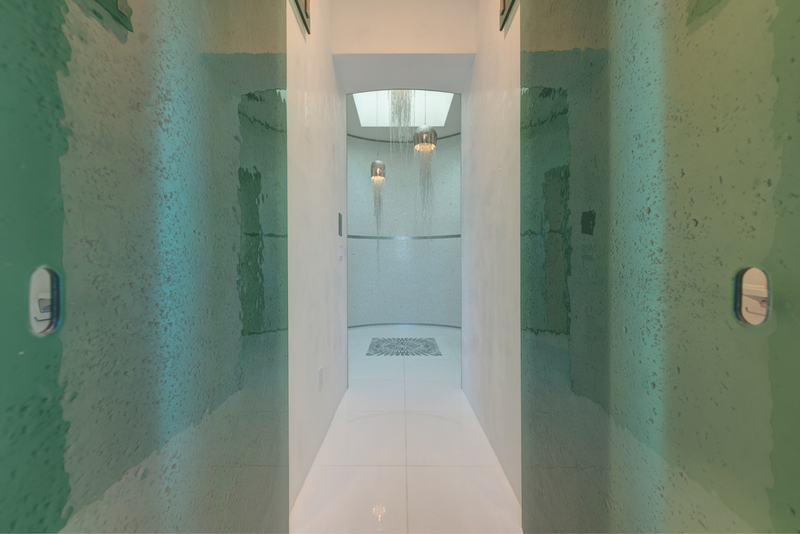 There’s a sauna (of course), and a large blue-and-teal mouth-blown glass chandelier bounces light across the marble tile. The expansive bathroom leads to two master closets, each boasting built-ins for shoes and handbags. 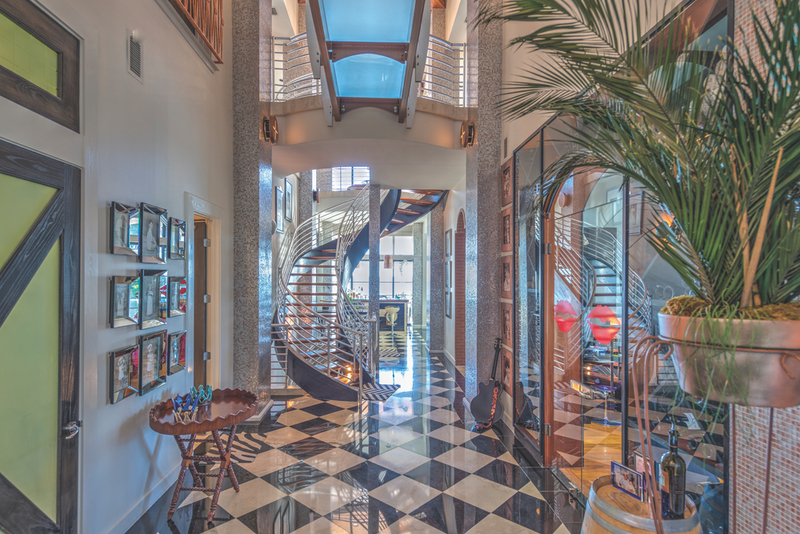 This amazing winding staircase of hardwood treads, stainless steel balustrades, and laminated wood carriage is a spectacular centerpiece to this light and airy two-story gallery. Appropriately selected, these elaborate jellyfish-like pendant lights hint to the function of this spacious master shower. Modern shapes and planes of the new addition are masterfully blended into the more traditional vernacular of the main house through the use of copper cladding and copper soffits. Pam and Bill show how to shake a groove thing on the dance floor. Photo by Romona Robbins. Lighthearted laser lights enliven the already-dynamic architectural features, including this awesome flying bridge. 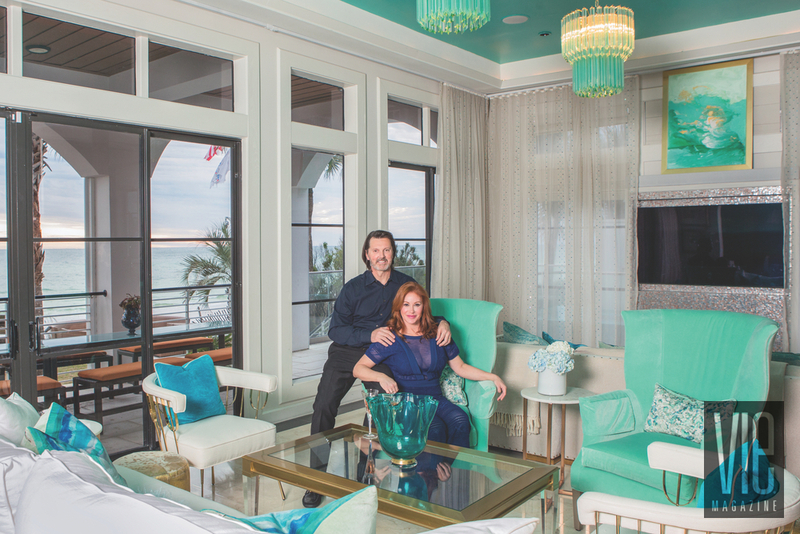 The adjacent master bedroom has floor-to-ceiling windows that perfectly frame the view of the emerald Gulf of Mexico and the white quartz-sand beach. 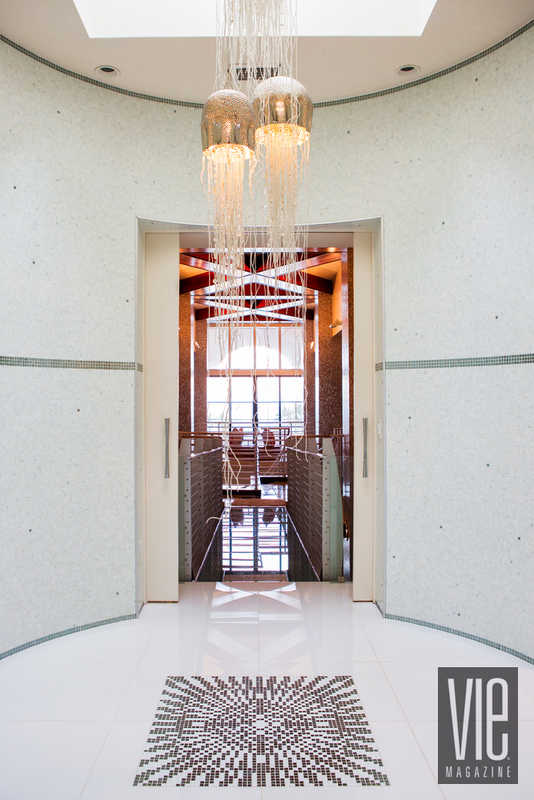 The Gulf can even be seen from inside the bathroom, which lends an incredible spa-like level of relaxation to the space. The family was ready to have some fun with the design of a major addition to the property. 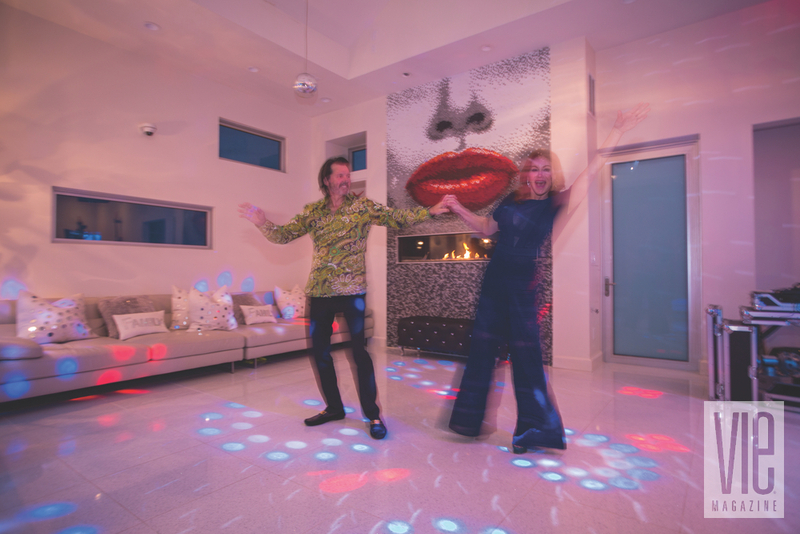 The entertainment room isn’t just for the kids to play video games and escape their parents. There’s an actual stage, with lights mounted on the ceiling and professional sound equipment that elevates band practice to a level not seen in most homes. The cool and lustrous materials of glass and metal feel right at home on the upper level of the light and spacious gallery. With the help of their beloved Lucy, Dr. Bill and Pam Burden are welcoming and gracious hosts. Photo by Romona Robbins. 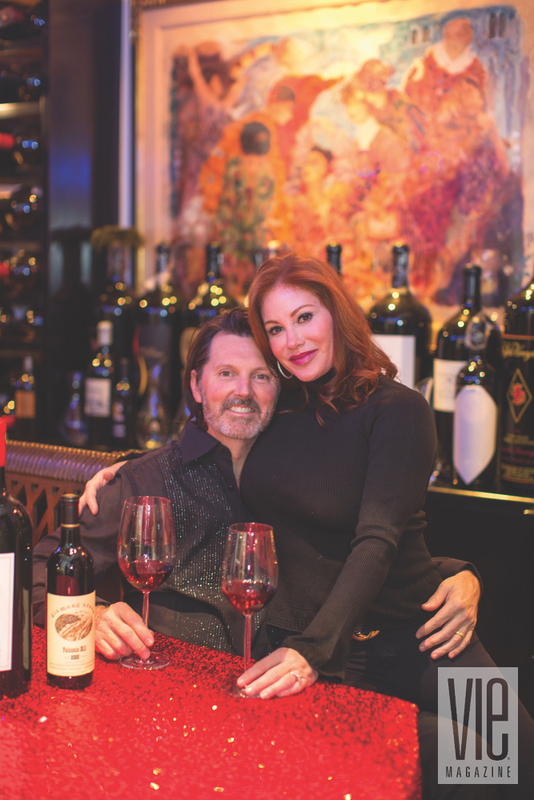 It’s a busy place, but with more than twelve thousand square feet, it’s hard to ever feel cramped at Casa Amore. It’s also for sale for a cool $13 million. There is always something going on here. 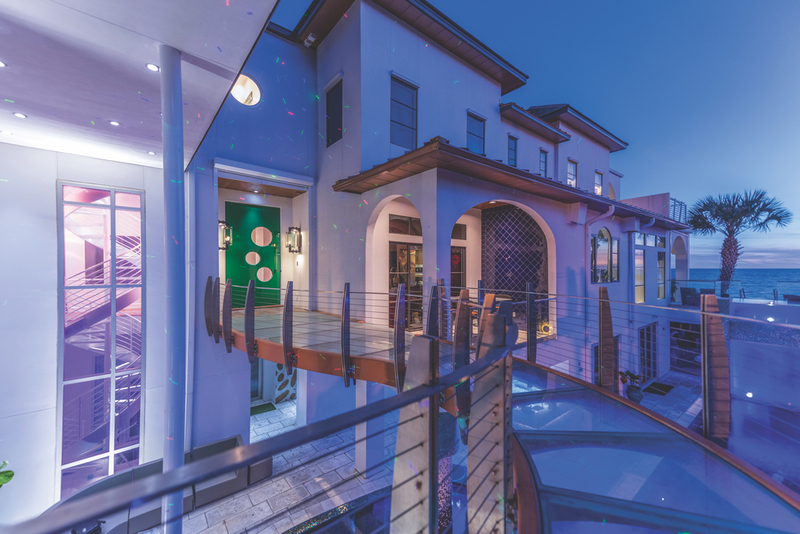 In the meantime, potential buyers should get ready to fall in love with Casa Amore. Find the listing for Casa Amore at www.ThePremierPropertyGroup.com.